A multi-platform online casino licensed by the UK Gambling Commission and the Isle of Man Gambling Supervision Commission, Breakout Casino is a bright and lively online and mobile casino. It hit the industry in October 2017 and brings players tons of great games from top game developers like Playson, NetEnt, Microgaming and Evolution among others. You’ll also be treated to a variety of promotions, and a large welcome package to begin their journey. When I first laid eyes on this casino, it took me a while to get used to the layout. It’s not overly unique in its design but the colours are very bright, so it makes the site appear busier than it actually is. Breakout online casino doesn’t have an actual theme, but the colour scheme consists of bright blues and purples. Still, although it took a bit for my eyes to adjust, I will give the brand credit for its easy and straightforward navigation. I had no problem finding anything. The gambling environment at BreakoutCasino.com is secure, safe, responsible and fair. Customer support is available 24/7 and there are diverse payment methods as well as timely withdrawal processing times. Breakout Casino treats its new players well. 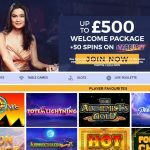 As is common in the online casino industry, you can claim some nice welcome rewards with your first deposit (and beyond). The Breakout Casino Welcome Package is a 3x 100% Match Bonus up to £1,250 (over your first three deposits) and 20 no-deposit Free Spins on Las Cucas Locas Slot. 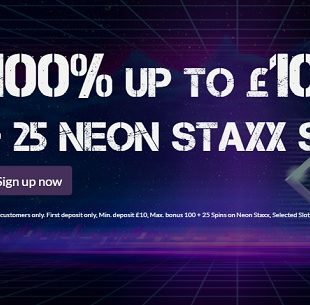 Make your first deposit to get 100% up to £250. 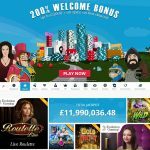 No Breakout Casino bonus code is required to claim this bonus it’s automatically added to your account. 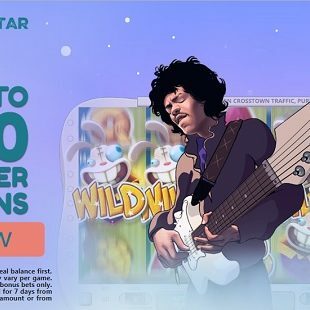 To claim the 20 Free Spins on Las Cucas Lucas you don’t need to make a deposit but you will require the Bonus Code BRKWB (or BRKWBM for mobile). Be advised that both the first deposit match bonus and the 20 free spins are subject to 70x playthrough requirements. If you want to keep the Breakout Casino bonus action going, you have the option of claiming up to two more bonuses on your second and third deposits. 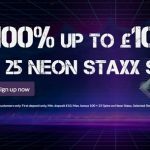 On your second deposit you can get 100% up to £500 using Bonus Code BRKWB2. 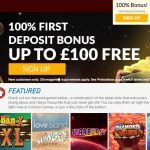 On your third deposit get another 100% up to £500 using Bonus Code BRKWB3. Both of these match deposit bonuses are subject to 40x playthrough requirements. While this is a great Welcome Package, the only real downside is that the wagering requirements are very high. Make sure to read the bonus terms and conditions carefully. I was thrilled when I learned that Breakout Casino promotions extended well beyond the Welcome Package. There were both ongoing and time-limited promotions. For instance, there is Weekly Cashback Monday where you can get 5% of your loses on Monday paid to you automatically on Tuesday. 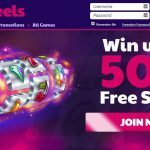 There is also Wednesday Madness, where you can get up to 50 Free Spins on select slots, as wells as 25% Bonuses on all deposits on Friday and 30 Free Spins on Sunday Funday. Be sure to check the site for terms and conditions and to get the appropriate bonus codes! There is also a Breakout Rewards Loyalty Program. The casino rewards points when they play. 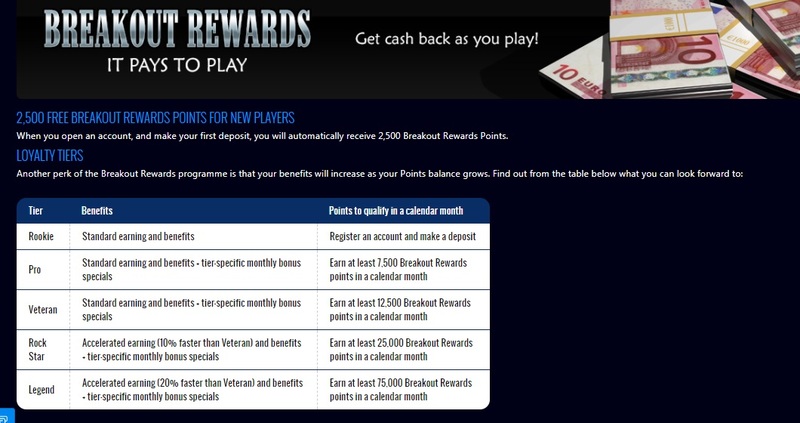 To start, new players will automatically receive 2,500 Breakout Rewards Points when the make their first deposit. By earning points, you’ll be able to climb different levels (e.g. Rookie, Pro, Veteran, Rock Star, Legend), and enjoy different benefits like monthly bonus specials. 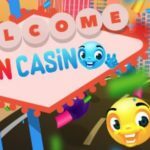 Breakout Casino.com can be enjoyed on multiple platforms. If you are seeking to access the desktop platform, you’ll find that you can enjoy all the action instantly without download. If you prefer gaming no matter where you are, you can satisfy your desire for a portable gaming experience via the Breakout Casino mobile app, which you can get for Android and iOS. Hundreds of games are ready and waiting to be enjoyed with a simple click or tap. Breakout games cover a variety of genres including slots, jackpots, table games, video poker, scratch cards, keno virtual sports and live dealer games. You can choose to play the games for real money of demo them if you’re just looking to play for fun money, you want to practice, or simply try the game out to see if you like it before you place an actual bet. Here’s a taste of the fun you’ll find at this digital casino playground. Slots – Breakout Casino slots are split up into several different categories. This makes it easy to not only see the grand selection of titles they offer, but you can easily find the games you want to play, too. You can browse the slots by provider, new slots, and the top slots. 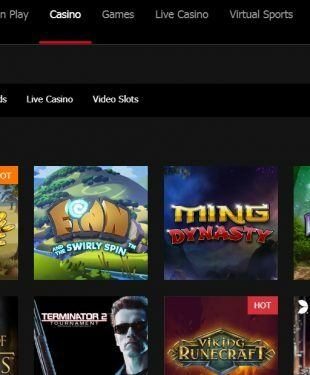 Examples of some of the casino’s hottest slots include: Big Bad Wolf, Asteroids Slot, Phoenix Sun, Butterfly Staxx, Game of Thrones (243 Ways), Gonzo’s Quest, and so on. There is also a progressive slots section. 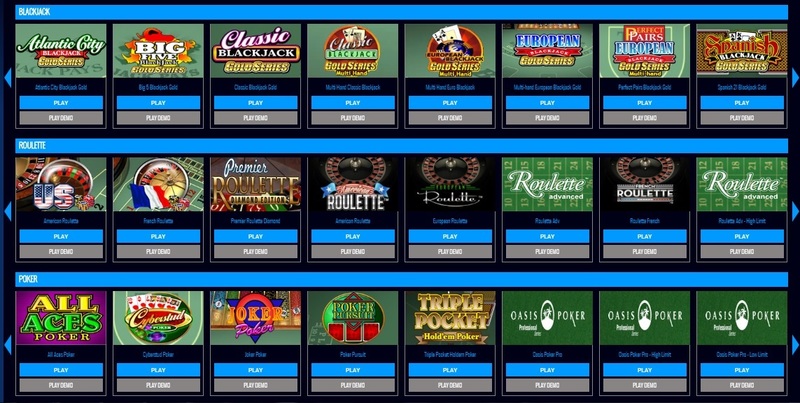 This the one you’ll want to peruse if you are looking for Breakout casino jackpots! You can win big with games like Mega Moolah Isis, Cash Splash 5, Tunzamuni and more. Table Games – When you access this category you’ll see that the games have been organized into four main categories: Blackjack, Baccarat, Poker and Roulette. There are multiple variations of each (e.g. American Roulette, Cyberstud Poker, Multi Hand Classic Blackjack, Baccarat Gold, etc.). 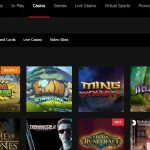 Other Games – A nice touch to this online casino is that there are other games beyond the typical slots, table and card games. You can also get your kicks with Video Poker, Virtual Sports, Scratch Cards and Keno. There are plenty of different variations, giving you the chance to enjoy quite the diverse experience. Live Casino – You’ll be able to choose form a variety of live dealer games. 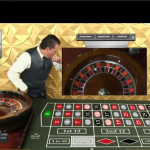 Enjoy high-quality real-time live casino games like Double Ball Roulette, Dream Catcher, Speed Baccarat B, Three Card Poker, Ultimate Texas Hold’em, Blackjack Silver 7 and more. I was pleased to find that the banking options at Breakout Casino included popular methods like Visa, MasterCard, Visa Electron, iDeal, Giropay, Entropay and Sofort, Neteller and Skrill. Although this isn’t a huge range of payment methods, it’s still a nice variety of different payment solutions including credit cards, debit cards and eWallets. 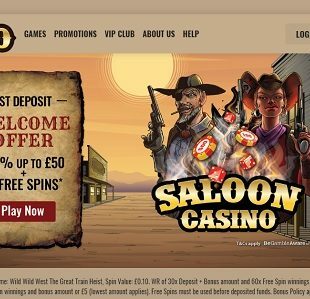 There were no fees for deposits when this Breakout Casino review was created. The process time for deposits was immediate, too. 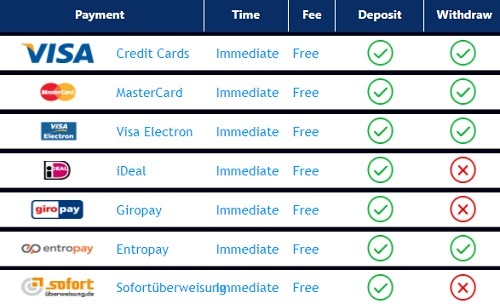 All the above mentioned Breakout deposit methods could also be used for making withdrawals as well, with the exception of iDeal, Giropay and Sofort. Breakout Casino withdrawal processing times can take up to 48 hours to be reviewed and approved and are typically processed within 72 hours. The minimum amount that you can withdraw is £10 and the maximum amount is £3,000. Beyond GBP, accepted currencies include EUR, USD, SEK, NOK, ZAR. Breakout support consists of a team of specialists who are dedicated to helping you with whatever queries you may have during your experience. When this Breakout online casino review was written, the only way to get in direct contact with support was via email ([email protected]). There was no live chat or telephone option available. The fact that there is no live chat is truly surprising, as this option is fairly standard among online casinos throughout the industry. Still, the casino promises that all email will be answered within 24 hours and is available 7 days a week. There is also a very detailed FAQ. I recommended perusing this FAQ, especially if you have a question regarding your account, deposit, withdrawals, technical, games, or security. You’re likely to find your answer here. That being said, if you find that neither the FAQ nor contacting support via email sufficiently answers your questions, and you have a complaint, you are encouraged to lodge a complaint with eCOGRA. Breakout Casino is a socially responsible casino and encourages all player to gamble in a responsible and rational manner. Breakout has taken steps to ensure that vulnerable players are protected by enforcing age-restriction rules as well as by providing information, tools and resources to help prevent problem gambling and to offer support to those who may have a problem. The different types of tools that you can use to help you remain in control of your gambling include self-exclusion, reality check, time-outs, etc. In terms of security, Breakout keeps you fully protected with its top-level security measures. Your financial transactions as well as the transferring of your private and sensitive data is secured and encrypted with 128-bit SSL (Secure Socket Layer) technology. Overall I was impressed with Breakout Casino and what it had to offer. It’s got a great selection of games, great software providers and a nice range of promotions for both new and regular players. 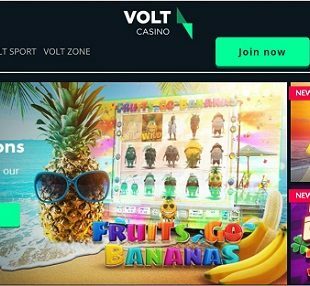 While the support could use another contact method beyond email and although there isn’t anything entirely revolutionary about this brand, overall this online casino delivers a pretty solid iGaming experience that’s user-friendly for both desktop and mobile players. Have you played at BreakoutCasino? What do you think? I do hope that you enjoyed my comprehensive Breakout Casino review!